There are a couple parts to the idea of being loved unconditionally. 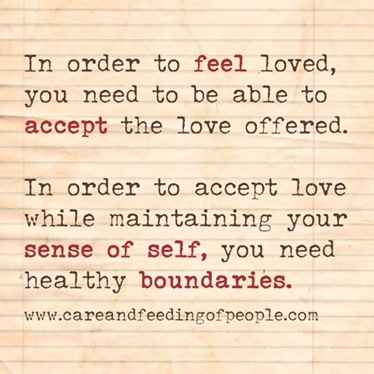 Of feeling unconditional love. First, you need to be able to feel the love. Second, unconditional means the love needs to not be tied to anything you have control over. A few generations ago, parents punished their kids for “being bad” and then we wised up to the harm that was causing and started instead to love up our kids for “being good.” But it’s two sides of the same coin. Both are using love and connection as power over another to change their behavior. That’s not unconditional love, that’s manipulation and it blurs the lines between self and other. Or maybe it’s love in response to achievement or lack of love (I’m thinking about time outs or just not giving attention) in response to difficult emotions. Maybe it’s jumping in with tons of “I love you’s” in response to a meltdown, with the goal of stopping the outburst. More blurred boundaries. Unconditional love means loving someone up just because they’re there, not because of anything they did or didn’t do. It doesn’t mean loving them up because they’re having a hard time, and it doesn’t mean loving them up because they’ve done something you’re grateful for. It’s loving them up because they exist, or because they asked you to. It means the only reason you say no is because of your own personal limits and boundaries. Not because of anything on their end. Imagine you’re dealing with anxiety and you’re not sure right from wrong. You want to try to sort it out, but you’re scared of making a mistake. You’re scared of offending or inadvertently pushing someone away. Now imagine the feeling of love and acceptance. If you knew, beyond a doubt, that that feeling of love was waiting for you no matter how your experiment turned out, you would be free! You could figure out right from wrong, you could make mistakes, you would have no fear of social reprocussions. Or rather, no fear that a mistake would cost you your self worth. What if as a parent, or a partner, or even a friend, “loving up” were tied more to the clock/calendar than to actions? What if you knew that you would be safely held, physically or metaphorically, at a given time? And that nothing would get in the way of that? What if you needed to be loved up, NOW, before it’s “your turn” and you could just ask for it, without feeling ashamed? Without fear? Knowing that the only reason you would be turned away is because of the other person’s needs, which have nothing to do with you? Unconditional love is feeling loved, just because you exist. As a parent, my current experiment is to make sure to carve out some time of each day to enter the world of each of my kids and try to love them up in various languages. No matter what’s going on, who’s doing what, or whether it’s a good day or bad. To not only be sure I’m loving them in languages they understand, but to check in with the other languages and see if there are any holes in the buckets, see if there’s any mending that needs to be done. How do you love your loved ones unconditionally? Do they feel your love? In order to trust that your needs will be met, you need to feel like you’re worth it. One of our basic needs is connection, but I’ve argued that it’s not something you get directly – rather it’s something you get by meeting other needs in a social environment. I’m here now to talk about love. Are love and connection the same thing? Maybe? When you feel loved, you feel valuable, and your self worth goes up. You are better able to prioritize your own needs, you’re better able to meet your own needs, and thus you’re better able to trust that your needs will be met. 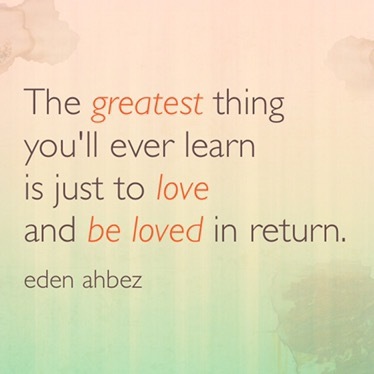 Love can be generated internally (self love) or come from friends/family/partners. It can be big and encompassing, or it can be small and everyday. To understand it better, I start with the five love languages, and the idea that you have a primary and secondary love language. Quality time, acts of service, receiving gifts, words of affirmation, physical touch. And I want to add to the list, listening time. Holding space and acceptance. I’m curious about how a language becomes ‘my’ language. And, what about the others? I’ve had love languages feel like the opposite of love before. Specifically doing an act of ‘service’ that is more for the do-er than for me. Or words of affirmation (“Good job, I’m proud of you!”) that feel more like manipulation than love. Others I’m indifferent to. Gifts don’t make me happy, but I don’t bristle at them either. I see story and story again, though, of people giving gifts as a love language, as a direct result of living through a time of scarcity. Here’s my hypothesis. What if the ‘love languages’ are really more like buckets? As we’re growing up, we need each bucket filled enough that we understand how to then keep it filled ourselves? Kind of like how a parent will tie a kid’s shoe until they know how to tie it for themself. And the the kid takes care of it on their own. I propose that we all need to learn our worth in each of the love languages so that we can turn around and take care of ourselves in each of those ways. Each of the love languages becomes a bucket to fill, a developmental box to check off. And then any time you are having trouble prioritizing yourself to get your needs met, you can love yourself up to calm the anxiety. Or ask for love from someone else. Ask to have your worth modeled to you so that you can learn or re-learn how to do it yourself.